As the world becomes more focused on recycling waste materials, more efficient processes are developed to extract maximum benefit from Municipal Solid Waste (MSW) and organic waste. Utilizing our long experience in the design and supply of tailored solutions for the drying of bulk materials, we can offer fluid bed dryers for increasing the calorific value and stability of RDF (Refuse Derived Fuel) , biomass and sludge. Since the Tema Process fluid bed dryers can run on rather low drying air temperatures, preferably waste heat is used for the heating of the dryer , coming from co-gen sets, boilers or other sources. 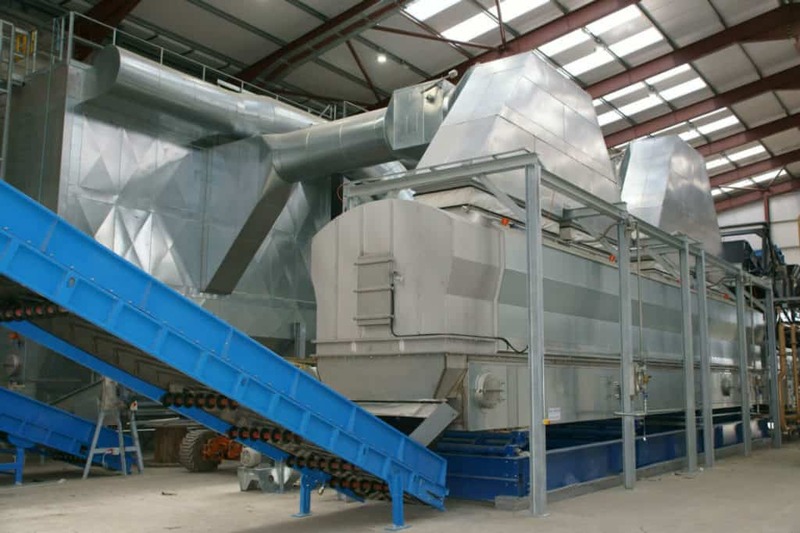 DRYING RDF (Refuse derived fuel) : TEMA Process has already built several fluid bed dryers for drying large volumes of mixed waste streams and has an extensive experience with the material behaviour during drying. Waste is considered as valuable raw material for the production of energy. The use of fuels with a high moisture content decreases the overall energy efficiency of the power plant and reduces the boiler capacity to such an extent that it becomes reasonable to pre-dry the RDF material. The TEMA Process fluid bed dryer are capable of continuously drying RDF from Municipal solid waste (MSW). The high wear-and-tear and operation costs as well as the possibility of overheating in most other conventional dryers is causing RDF processors worldwide to switch to reliable TEMA fluid bed dryers. The TEMA Fluid Bed dryer uses the thermal energy generated by gas engines, gas turbines or boiler. Low temperature drying using biogas and CHP waste heat to produce secondary fuel for cement kilns and WTE plants.